As for policy choices, Sessions’ memo last Thursday — which ended federal tolerance for state laws legalizing the medical and recreational use of marijuana — was about as outdated as they come. 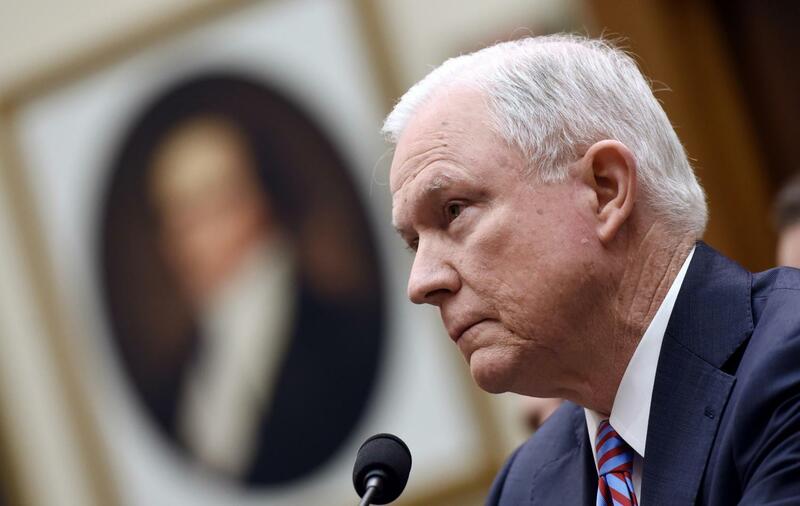 The decision contradicted an Obama-era policy that directed Department of Justice attorneys to de-prioritize marijuana cases in states that had already legalized the substance. As cannabis becomes more and more a part of normal life in the United States, both Sessions’ memo and the fact that the drug is still illegal under federal law appear more and more out of touch with reality. The rash move to resume federal prosecutions against people and businesses connected to marijuana flies in the face of business sense, personal freedom, states’ rights and Trump’s campaign promises — all of which Sessions’ party purports to represent. Weed in America has become a boom industry for the private sector and a tax boon for governments over the past several years, as it has rapidly won legal status in states across the country. In the 29 states that have already legalized cannabis in some form or another, stretching from Alaska to Maine, projected tax revenues from 2017 equalled nearly $1.8 billion, according to an economic report from New Frontier Data. The industry came in at a total sales value of nearly $7 billion, according to another report from Arcview Market Research, the year before. Neither Sessions nor any other prominent figure in the Trump administration has put forward a plan to replace the revenue states and their industries will lose because of reinvigorated enforcement of ancient federal statutes. Moreover, the president himself has verbally committed himself multiple times in the past to weed policies that diametrically oppose his attorney general’s actions. While it’s been shown over and over that Trump’s word is virtually meaningless, it’s still surprising that Sessions would break a promise Trump made that other Republicans were counting on him to keep. In Washington, D.C., GOP senators from states with legal weed, like Cory Gardner, R-Colo., and Lisa Murkowski, R-Alaska, condemned the attorney general’s decision, moving to retaliate. Even among the Republican base, Sessions’ action is unlikely to get majority approval. A Gallup poll conducted in October showed a record-high level of support for the drug’s legalization among all Americans — including Republicans, who were 51 percent in favor of some form of legalization. Sessions failed to represent business interests, states’ rights, the president’s promises or even the will of his party last week by putting an end to federal tolerance for state drug laws. It’s hard to discern, then, what exactly motivated the attorney general to action — other than sheer ignorance born of and perpetuating fearmongering. And that’s the last thing we should be basing policy on.